Looking back at 2018, I realized that there were not that many books that stood out for me. And those that did are split between various genres. So, I decided to make a series of blog posts about all of my top favourite books that I read in 2018, divided into categories. Of course, I am starting with Young Adult SFF books as it is my most read genre at the moment. I have been a massive fan of The Witchlands series by Susan Dennard ever since I read Truthwitch in February of 2016. I was impressed by the complexity of the world building and the flow of the language from the very first page! As a child and teen, I read, primarily, adult SFF - such classics, as Katherine Kurtz, Robert Asprin, Robert Jordan, Ursula Le Guin, and, of course, my beloved Lynn Flewelling. Obviously, with such high standards to books, I am at times disappointed by young adult novels. Nothing wrong with YA as a genre, but growing up on epic fantasy I developed a palate for multiple points of view, complicated power dynamics, intrigues, and big worlds. I love me some good ol’ endpaper map. And The Witchlands map is intricate and gorgeous! 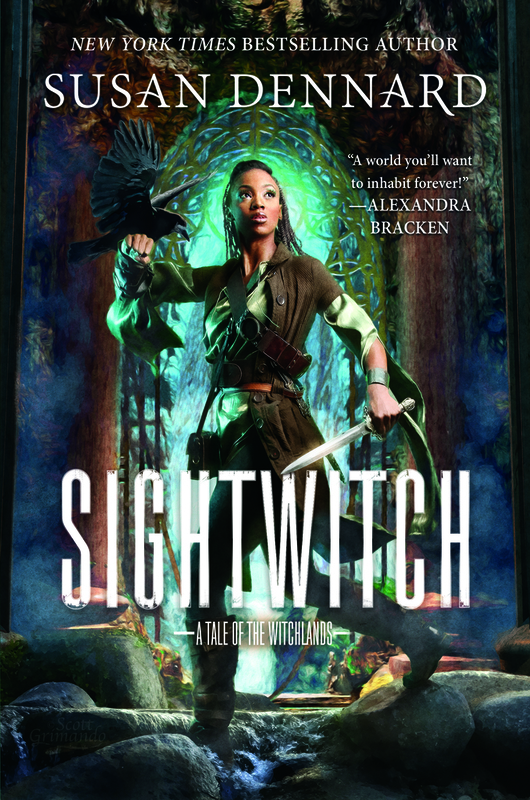 Sightwitch is, technically, a prequel novella to Truthwitch, but it is book # 2.5 in the series, and it is better to read it after book two Windwitch because it explains certain things that can be spoiled if you haven’t read the first two books. I know that Tor Teen marketed it as a prequel, but I strongly recommend reading the books in publication order, Sightwitch being the third. One of the strong sides of Sightwitch and The Witchlands series overall is the author’s skill in creating strong friendships. Just like Safi and Iseult, Ryber and Tanzi are best friends; and as Tanzi is summoned, Ryber is willing to go through any obstacle to find her Threadsister. I can not recommend The Witchlands series high enough, as it has everything I love in a good fantasy book: strong friendships, awesome shenanigans, slow-burn romance, and morally grey characters. I was not surprised in the least that Sightwitch was one of my most favourite reads of 2018. Did I mention that it has also illustrations? It does! Maps, diary entries, papers, puzzles, and notes on the margins. I am in love with the way Sightwitch was put together, and I wish we had gotten even more illustrations! Bloodwitch, book three in The Witchlands series, is coming out on February 12. Tor Teen is hosting a preorder campaign for Bloodwitch. 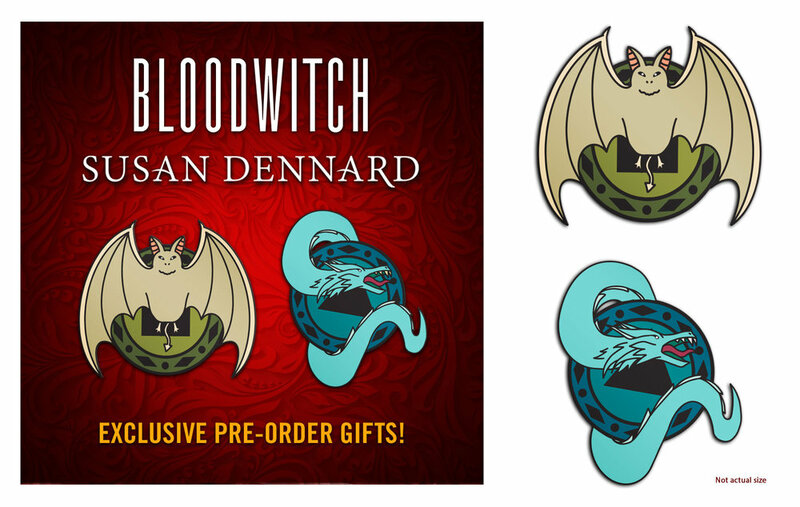 If you preorder Bloodwitch, you can submit your receipt on the website and receive TWO exclusive Witchlands creature enamel pins. They look GORGEOUS. And I can not wait to get them! Open to US and Canada only, I am afraid. I will promote this book till the day I die. Not even joking. It was one of the books that took me by surprise in 2018 and - holy sh*t - I am going to buy everything Ancrum will ever write from now on. I have my full review of “The Wicker King” and the companion novella on my website. But to put it simple - read it. It is a blend of YA contemporary and magical realism, and it is better to dive into the book knowing very little, as it is a type of story you need to discover as you read. 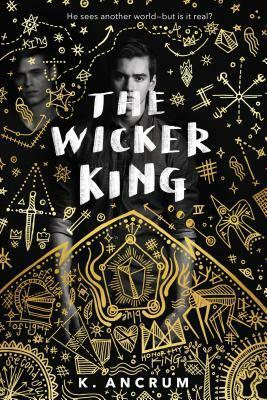 “The Wicker King” - which I feel will be confused with a recent release by Holly Black due to the difference in just one letter in the title - has a stunning cover, and darkened edges of the pages - something that will make sense only when you read the story. I do not know how to praise this book without spoiling the plot or simply yelling READ IT NOW, but here you go. I want to re-read it badly, but I don’t think my heart has recovered from being ripped apart yet. It is an emotionally exhausting story, and I could not put it down. I almost had to read it in one go. Choosing the third book for my top three YA SFF books of 2018 was not easy. I read books that were very good but very few impressed me to the point of wanting me to talk about them online over and over again. One of the books was Nyxia by Scott Reintgen. To be completely transparent, I did give “Nyxia” only 4 stars on Goodreads. So, why is it on my list of the best books? Because the story of Emmett and his devotion to his family really tugged on my heartstrings. Very often in YA, parents or other family members are not visible and serve only as a background to whatever is happening to the main protagonist. Sometimes they are even the source of conflict. That is why whenever there is a sweet and caring relationship between the main character and their family, it always gets me. Emmett is quite candid about his family situation and what sacrifices he has to make to provide for his parents. The story is told from the first point of view, and as I listened to it in audio, I was captivated by the internal monologues and feelings that Emmett expressed. I loved listening to his conversations with his father from the Babel’s ship. Emmett’s actions are the reflection of his connection to his parents, and whatever connections to other recruits he develops later, affects his decisions as well. I thought that it was very well written, and what stood out for me. 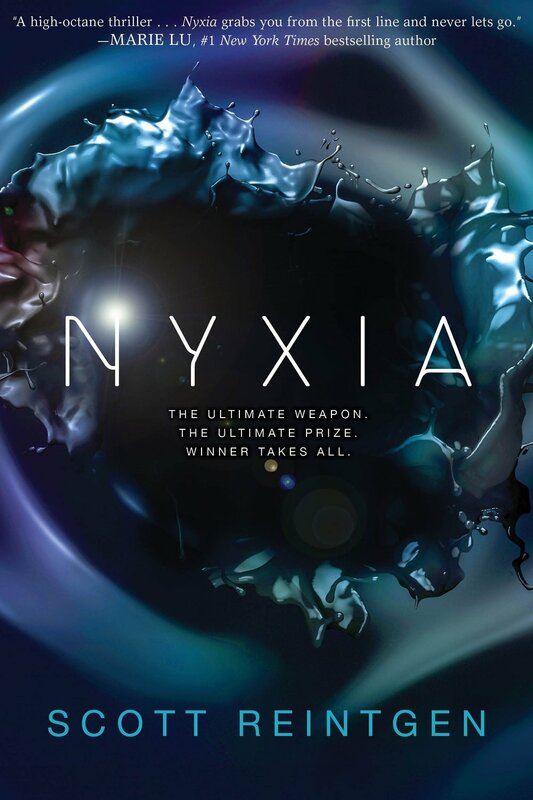 Even though “Nyxia” is a science-fiction novel, the elements of its world are described in detail, which makes it easy to believe it. I think it is the relationships in the book as well as the realness of emotions and descriptions in it that made me feel like this book really stood out for me. “Nyxia” also has great representation for different races and cultures, which only added to my love for it. I heard people compare it to “Ready Player One”, but I can not comment on that. By the end of the day, all plots have been written before, it is the way it is written what matters. And “Nyxia” has definitely captured my heart. Hope you enjoyed my post! Please let me know if you read these books and what you thought about them!